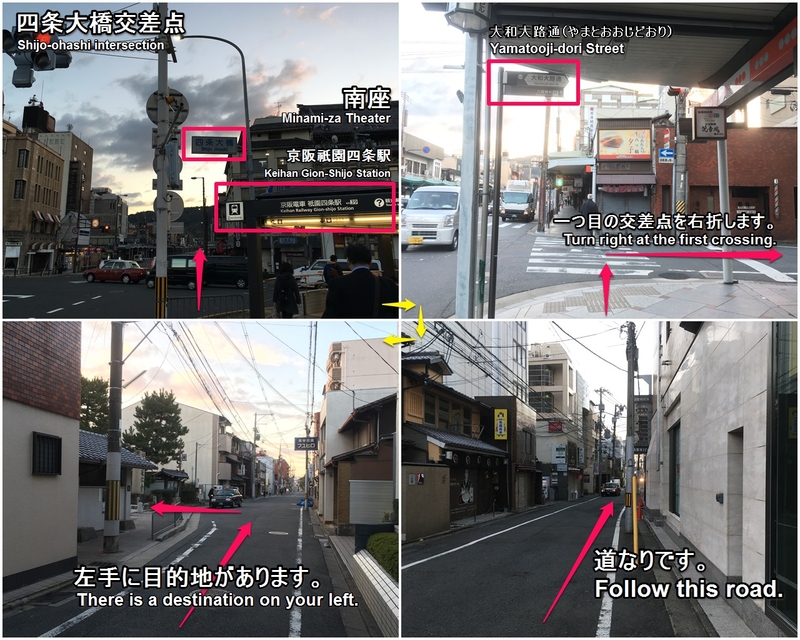 Highlights and how to get to Kennin-ji Temple. 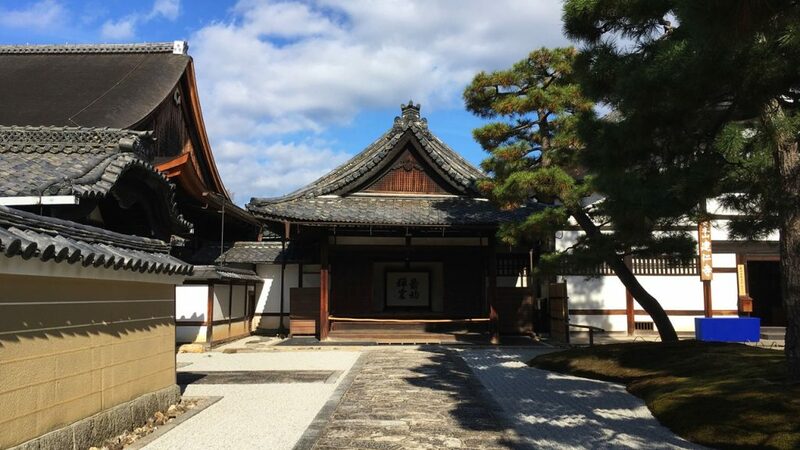 Kennin-ji Temple, located in Higashiyama Ward, Kyoto City, Kyoto Prefecture, is the headquarters of the Rinzai sect Kennin-ji School of Zen Buddhism. 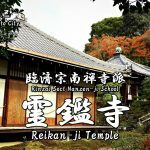 The temples of the Rinzai sect have two formality which are called ‘Kyoto Gozan’ and ‘Kamakura Gozan’. 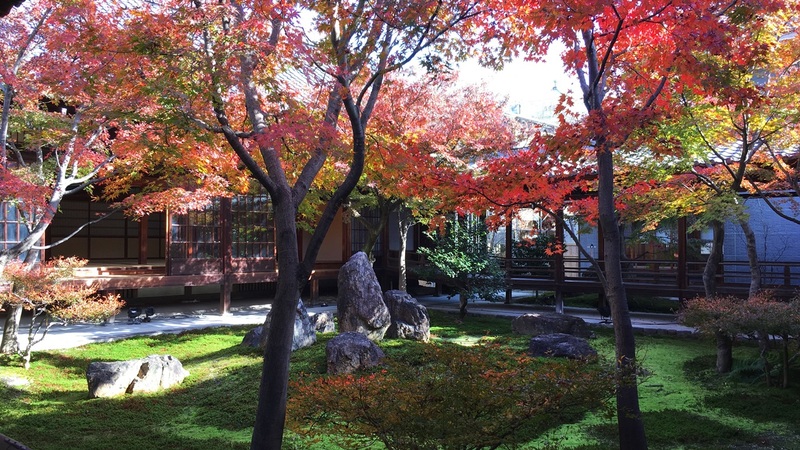 Kennin-ji Temple is the third of the Kyoto Gozan (Five Great Zen Temples of Kyoto) and the oldest Zen temple in Kyoto. 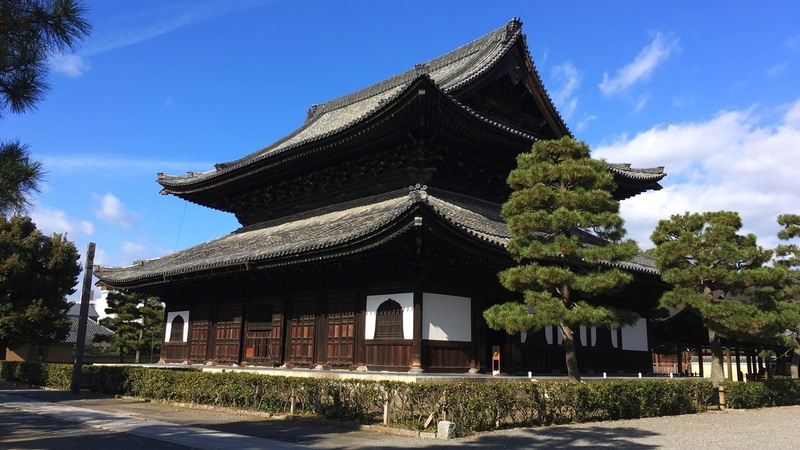 In addition, this temple possesses a large number of Buddhism artworks including “Fujin Raijin-zu folding screen” of the national treasure which was wrote by Sotatsu TAWARAYA. 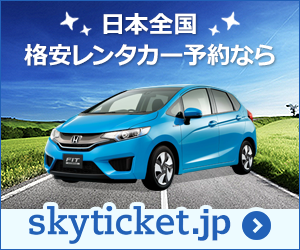 Presently those artworks are in the collection of the Tokyo National Museum and Kyoto National Museum. Therefore, presently, a highly precise replica which was made by a modern digital technology is displayed in this temple. Those are a replica, but I think that are very beautiful and are worth seeing. 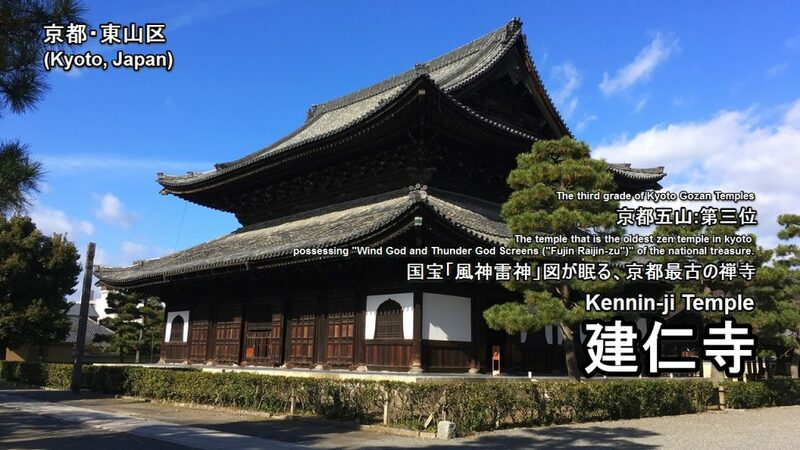 Kenninji is a temple of the Zen sect, one of the main branches of Japanese Buddhism. Kennin-ji (建仁寺) is a historic Zen Buddhist temple in Higashiyama, Kyoto, Japan, near Gion, at the end of Hanami Lane. 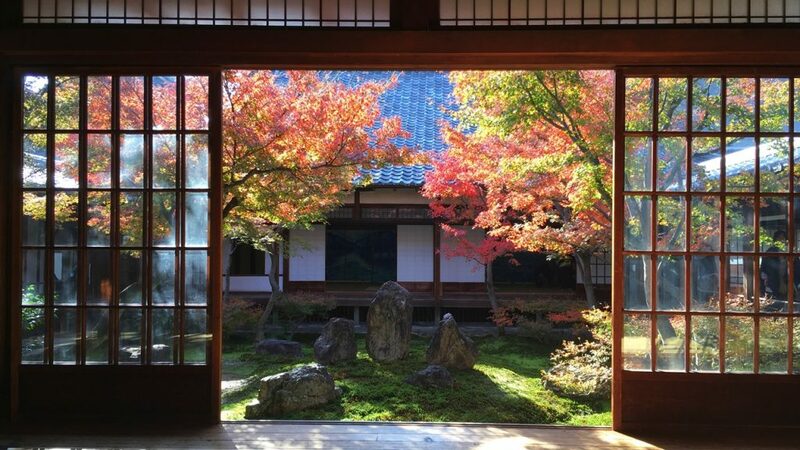 It is considered to be one of the so-called Kyoto Gozan or “five most important Zen temples of Kyoto”. Kennin-ji Temple was founded by Eisai in Kyoto by the protection of MINAMOTO no Yoriie in 1202. 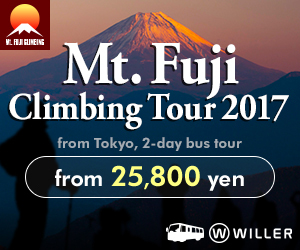 Eisai was the first to bring the Zen tradition to Japan, and he is also the founder of Japan’s Rinzai Sect. 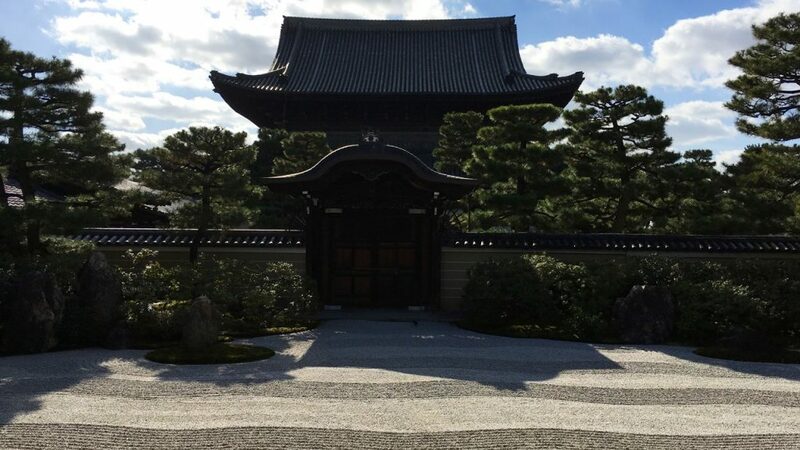 When Kennin-ji Temple was founded, it also served as a center for the Tendai and Shingon sects in addition to the Zen sect. Afterwards, in 1259, when Doryu RANKEI who was the Zen monk became the chief priest of this temple, it became the pure zen temple. 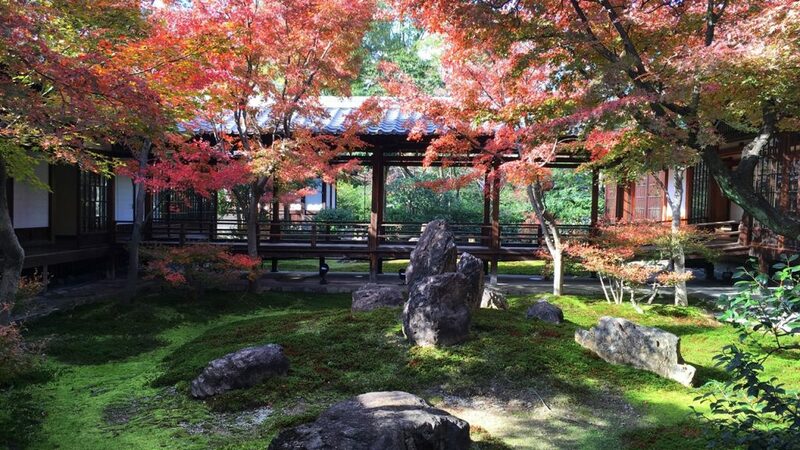 This temple is the oldest Zen temple in Kyoto and the third of Kyoto Gozan Temples. 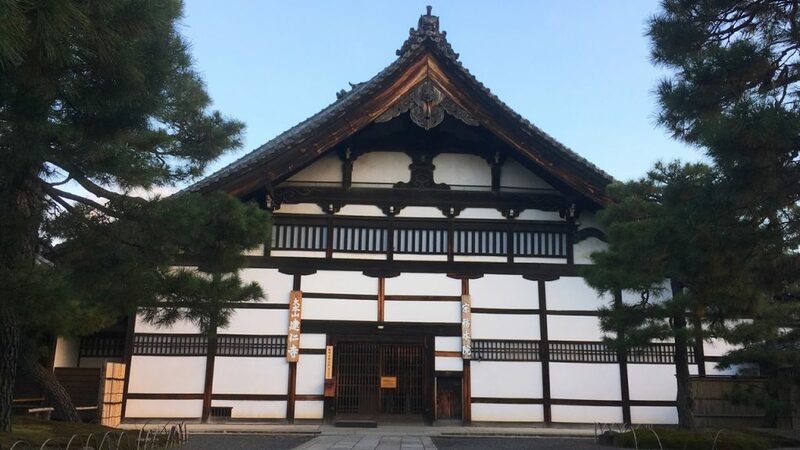 But it has suffered numerous fires throughout the centuries including during the Onin War, in 1397 and in 1481 so that none of the original buildings remain. 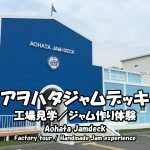 An admission fee is 500 yen (Adult). In the case of a general temple, photography is prohibited in the inside of the building. 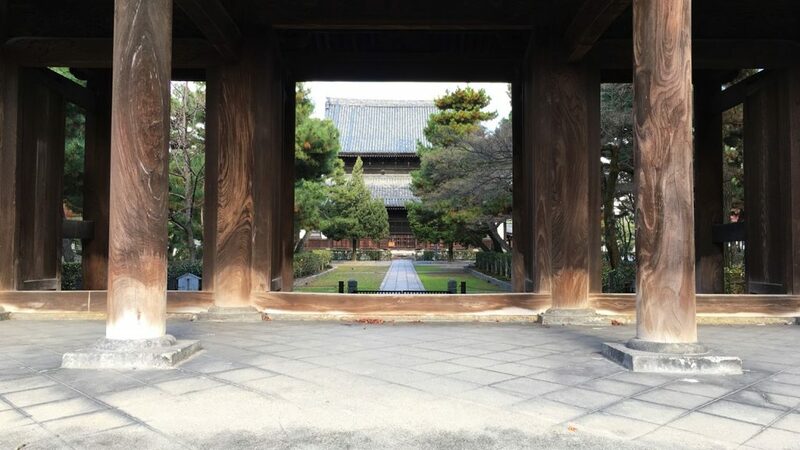 In this temple, the photography of the inside of the building and the artworks is possible. 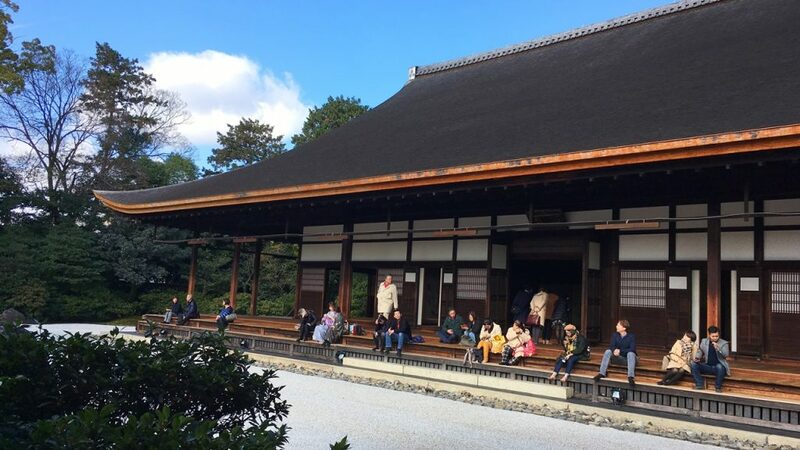 Kyoto Gozan Temples refers the status of a Buddhist temple, and to the system of state-sponsored temples of the Zen sect (Rinzai sect) in Kyoto among the Five Mountain System. 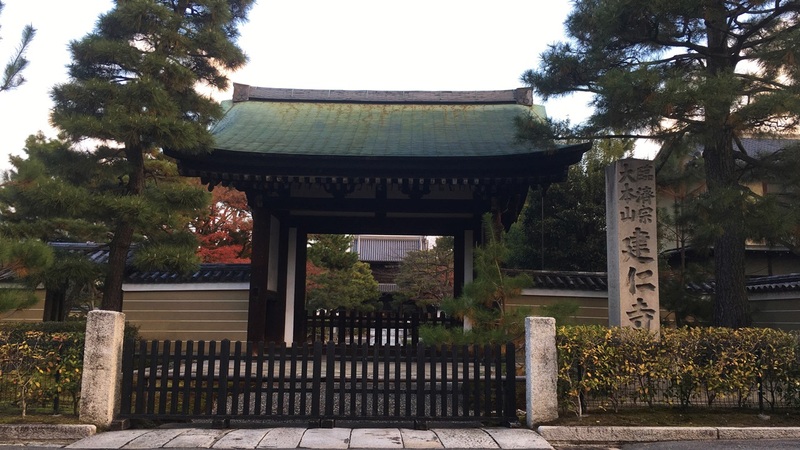 Now, the status of a Buddhist temple of Kyoto Gozan Temples is as follows. 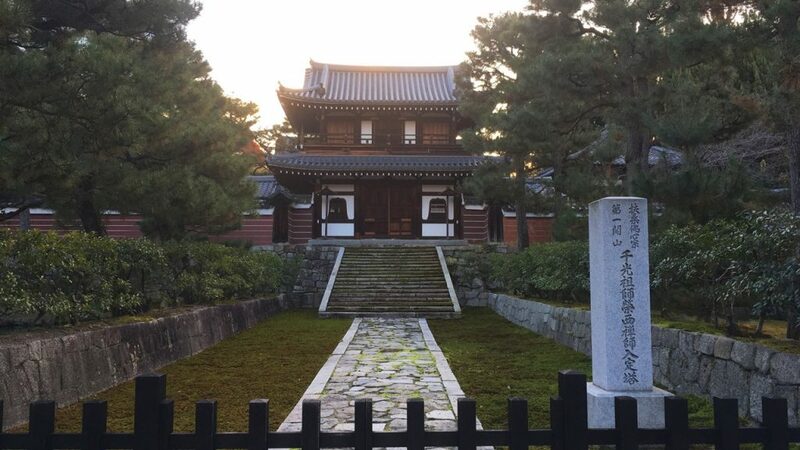 This is the Hojo (Abbot’s Quarters) which is designated as an important cultural property. 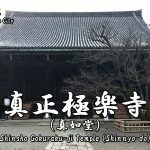 This Muromachi period building was relocated from Hiroshima’s Ankoku-ji Temple to Kennin-ji Temple by Ankokuji Ekei in 1599. 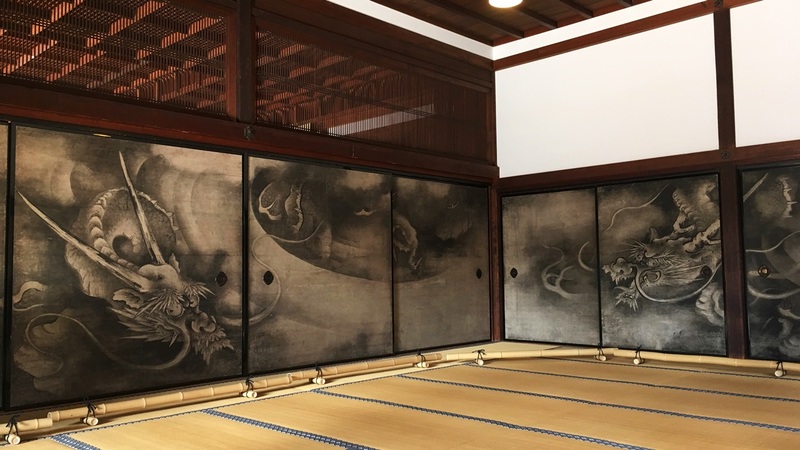 This is the replica of “Fujin Raijin-zu byobu” (The folding screens of Wind God and Thunder God) designated as a National Treasure which was drawn by Sotatsu TAWARAYA. This is the replica of “Chikurin Shichiken-zu” (Seven Sages of the Bamboo Grove) designated as an important cultural property which was drawn by Yusho KAIHO. 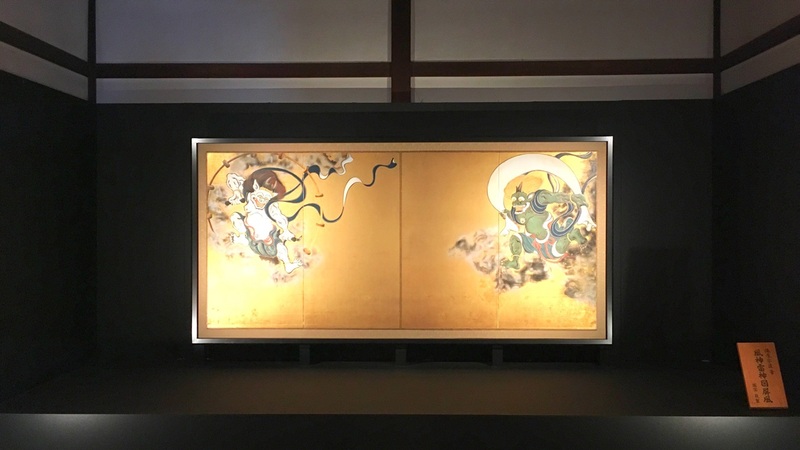 This is the replica of “Unryu-zu” (painting of dragon and clouds) designated as an important cultural property which was drawn by Yusho KAIHO. 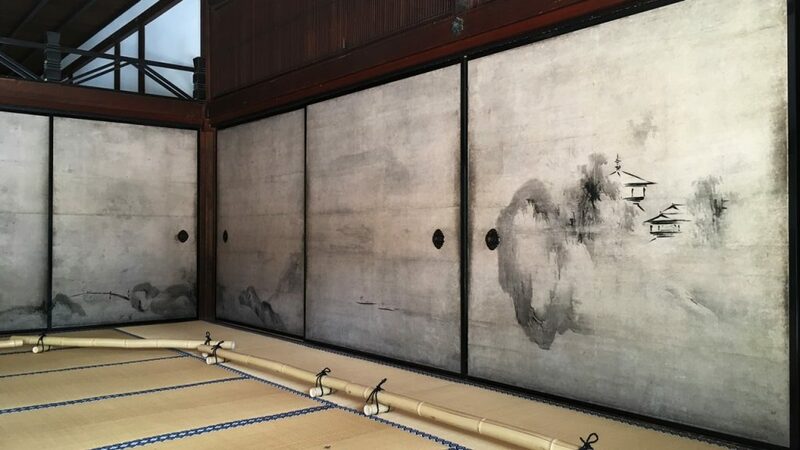 This is the replica of “Sansui-zu” (Landscape painting) designated as an important cultural property which was drawn by Yusho KAIHO. 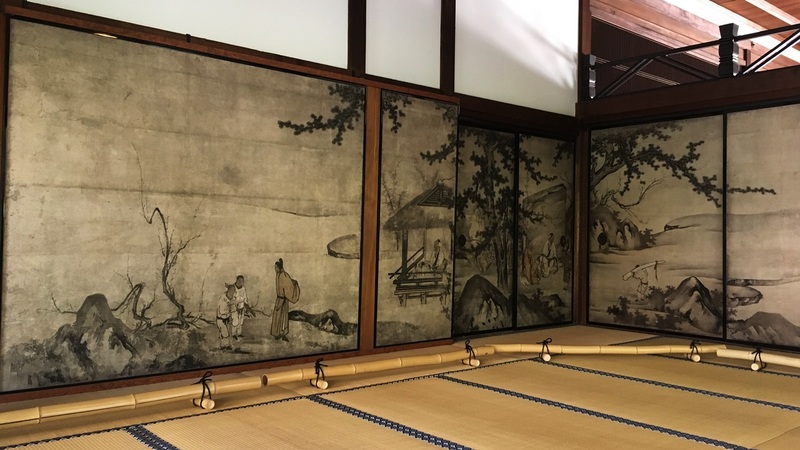 This is the replica of “Kinki Shoga-zu” (Paintings of the Four Elegant Pastimes) designated as an important cultural property which was drawn by Yusho KAIHO. 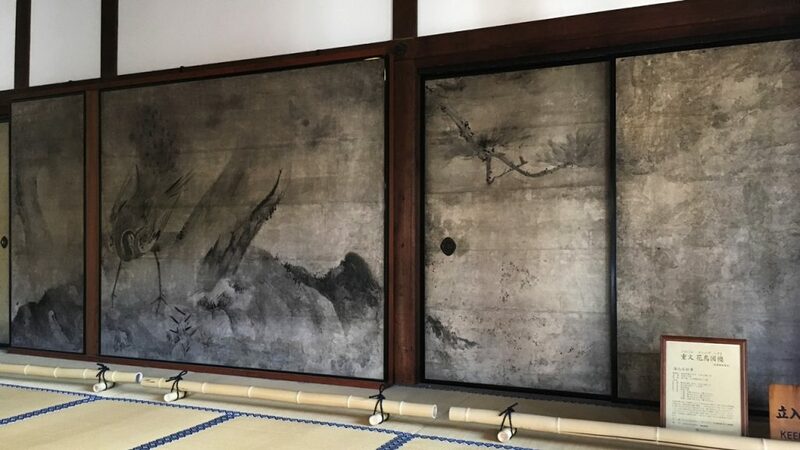 This is the replica of “Kacho-zu” (images of flowers and birds) designated as an important cultural property which was drawn by Yusho KAIHO. 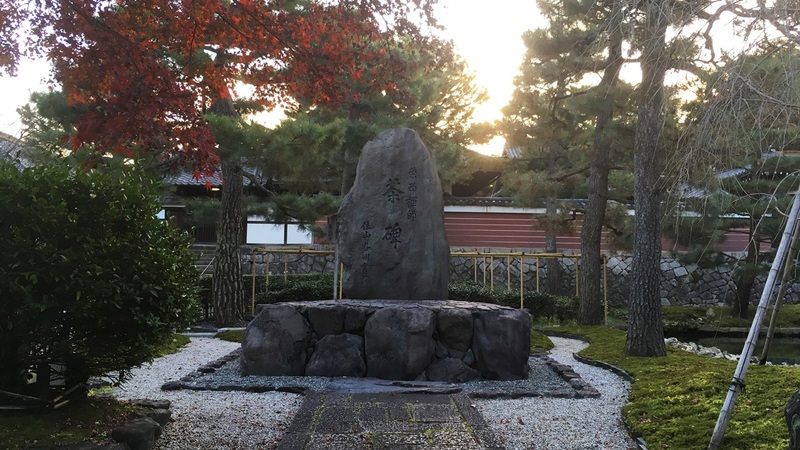 This is the Daio-en garden of Japanese rock garden which is the front garden of the Hojo. The Scenery of Ho-do hall to look at from Daio-en garden. 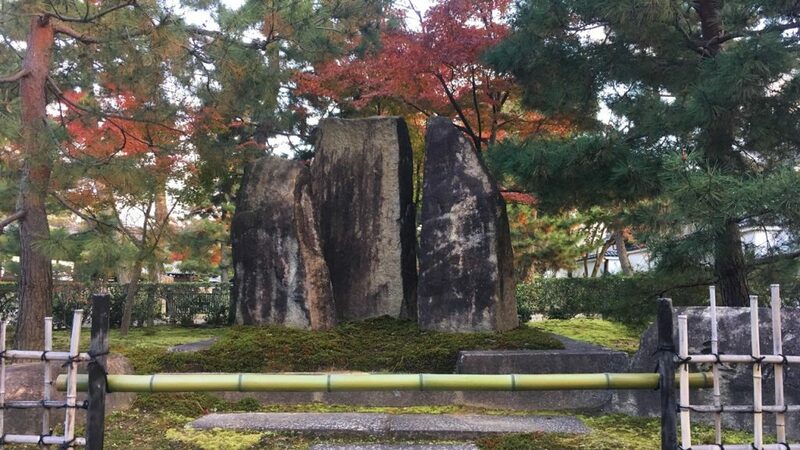 This is the Choon-tei garden of Japanese rock garden which is the courtyard of the Hojo. 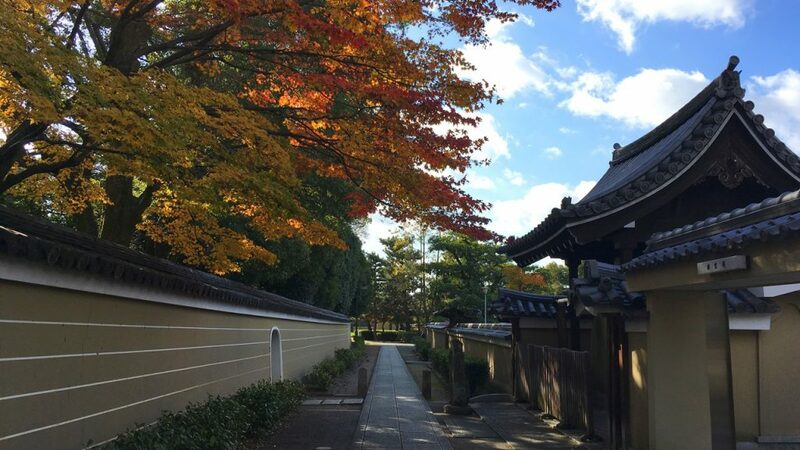 Because a lot of maple trees are planted in this garden, autumn colors are beautiful in autumn. 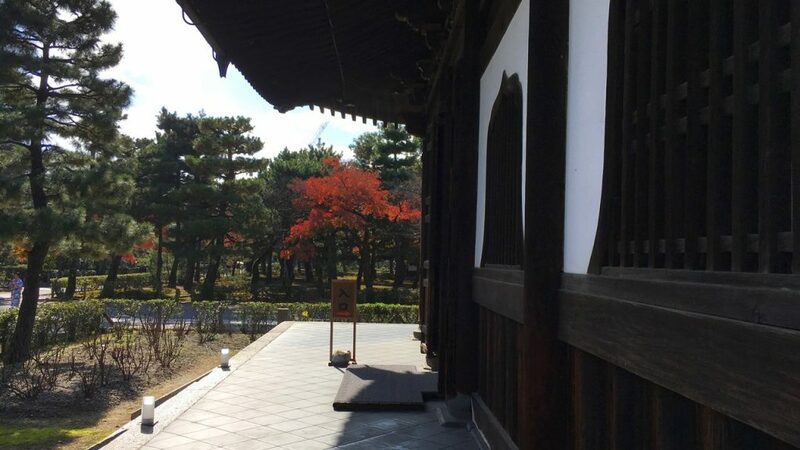 The Scenery of Choon-tei garden to look at from veranda of the Shoin (Study hall). 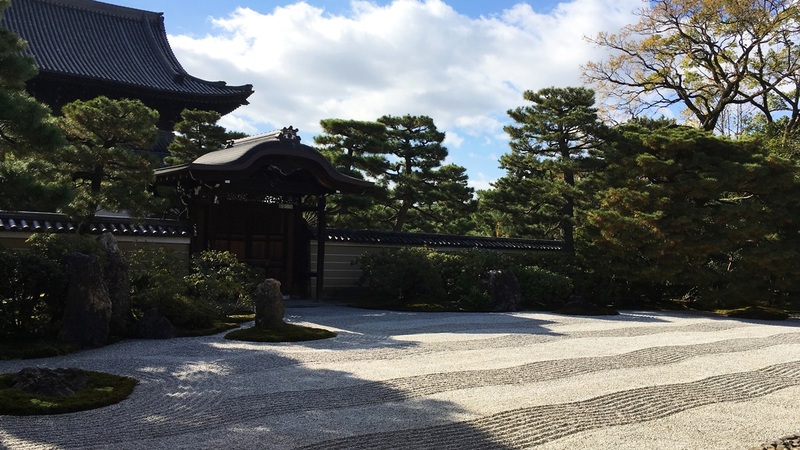 This is the Marusankakushikaku-no-niwa garden of Japanese rock garden which is the courtyard of the Shoin. This figure (○△□) expresses truth of the space in the Zen Buddhism. In this garden, ○ is the central tree, △ is the corner of the garden, □ is the form of the well. 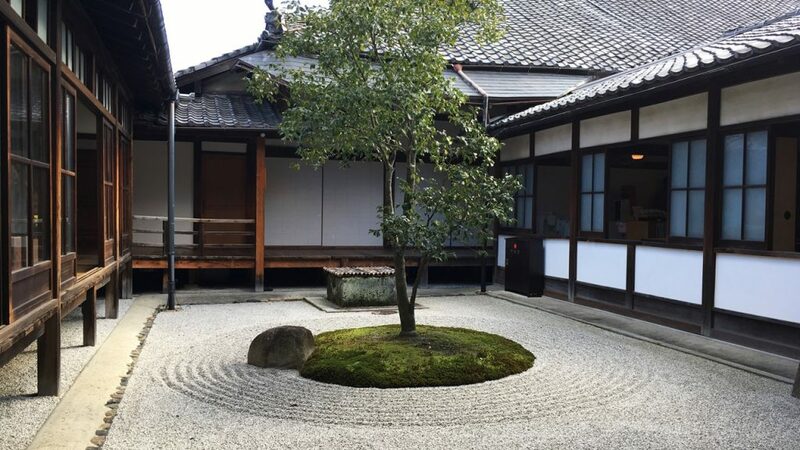 In “禅(Zen culture)”, the round form is considered to be “Clean, clear heart without the prejudice”. 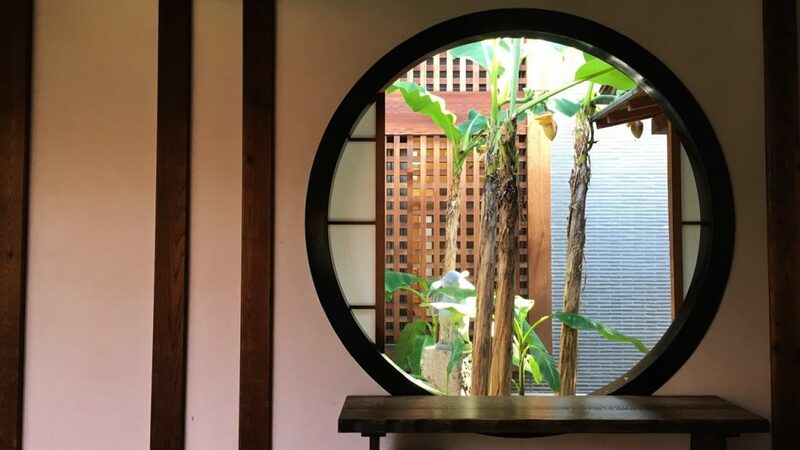 In addition, the round window is “enlightenment window”, and the square window is “delusive window” in Zen Buddhism. 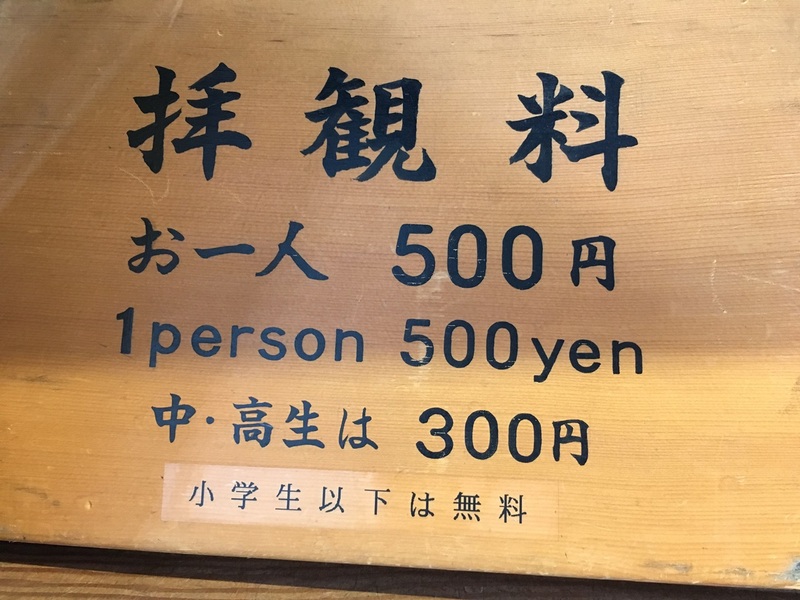 I write this details in the article of Genko-an Temple. 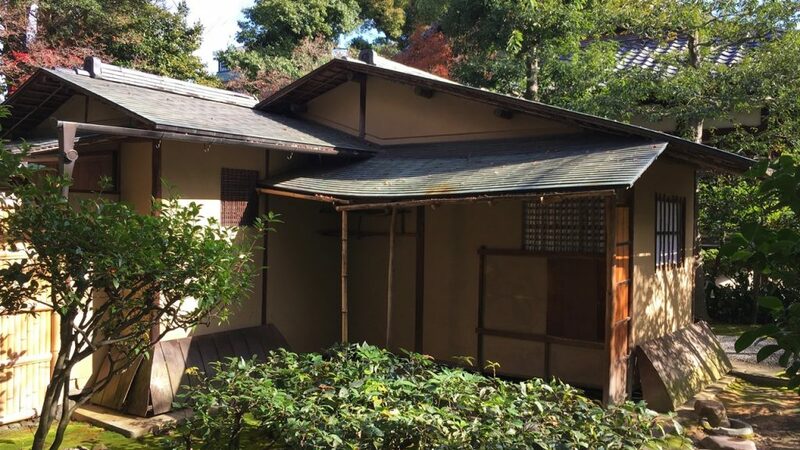 This is the Hatto hall (Lecture hall) which was built in 1765 of the Edo period. The statue of Shaka Nyorai (Shakyamuni) which is the principal image of this temple is enshrined in this building. And, please pay attention to the ceiling of this building. 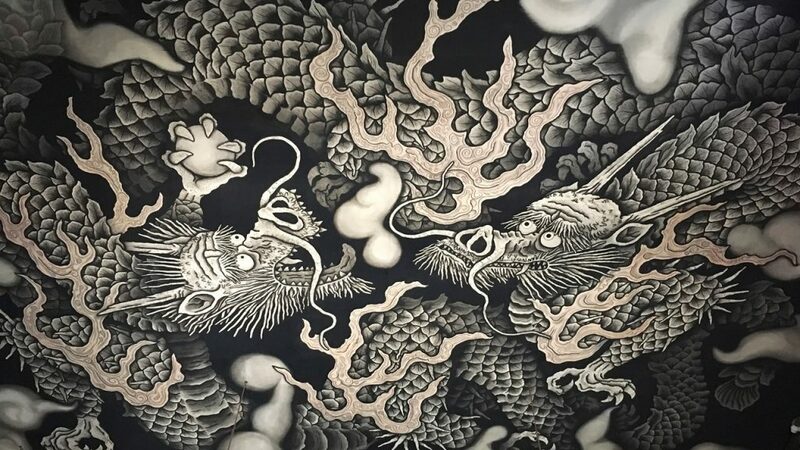 Very very big Soryu-zu (the image of two dragons) is drawn on the ceiling. In 2002, this image was painted on the ceiling by Junsaku KOIZUMI to commemorate the temple’s 800th anniversary. 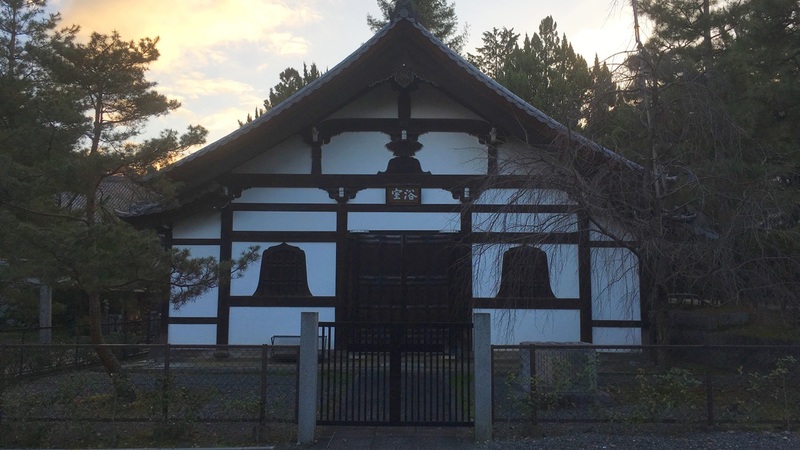 This is the Reisho-do hall which is located in the backside of the Hojo. 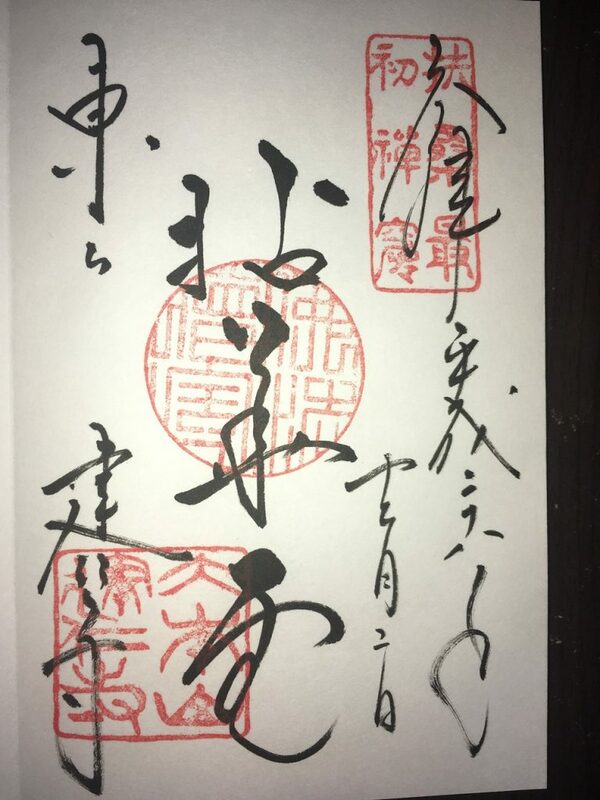 This is the Seiryo-ken which is used as the Chashitsu (tea room). 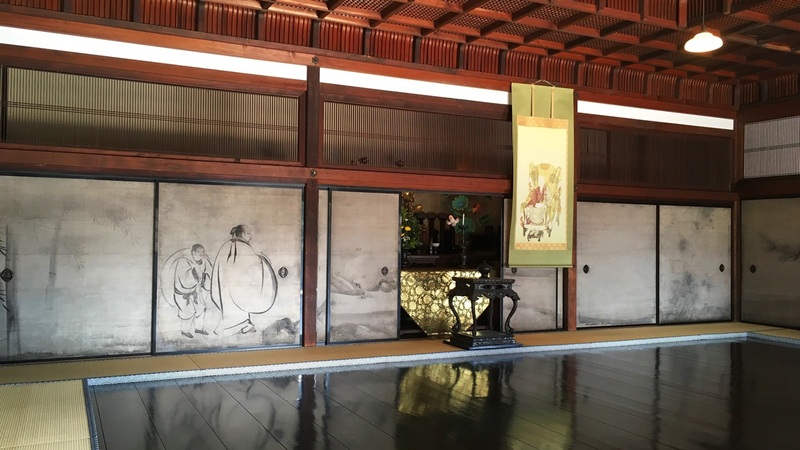 This is the Toyo-bo which was used as the Chashitsu (tea room). 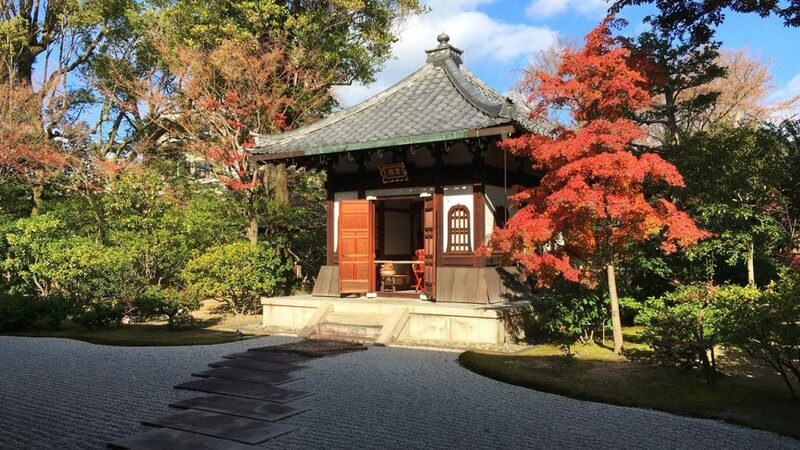 When Hideyoshi TOYOTOMI held the Kitano Grand Tea Ceremony in 1587, this building was used as a sub tea room. This is the Sanmon gate. 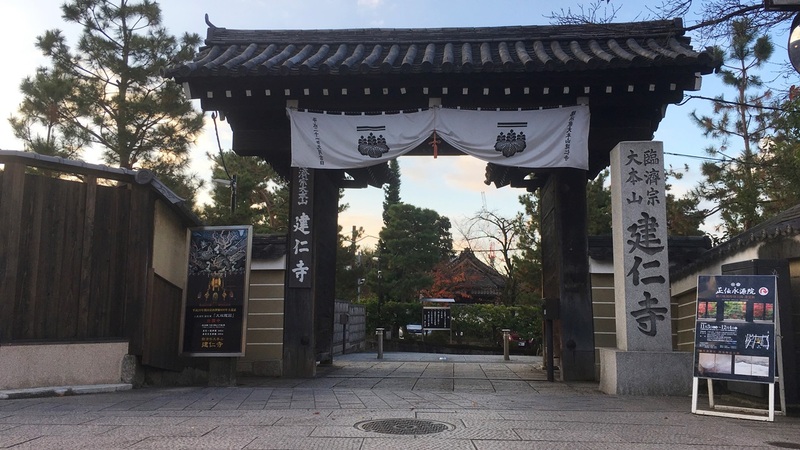 Because this gate is built in the place that can look at the Imperial Palace, this gate is also called “望闕楼(Bogetsuro)”. This late Edo period structure was relocated from Annei-ji Temple in Hamamatsu City, Shizuoka Prefecture in 1923. 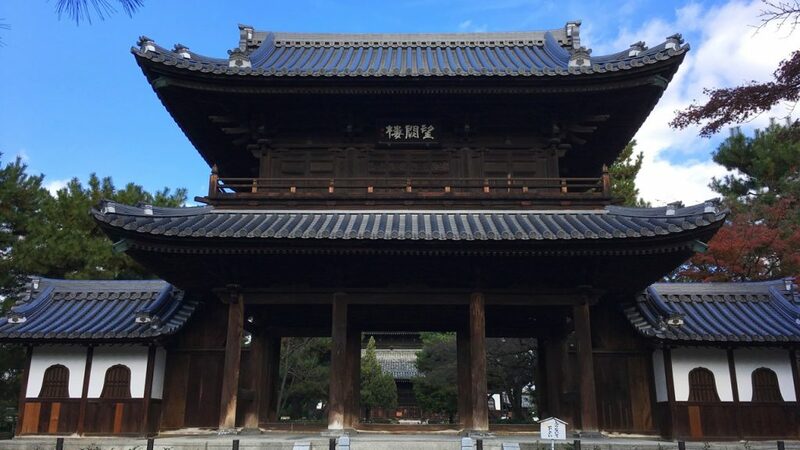 This is the Chokushi-mon gate which is designated as an important cultural property built in the late Kamakura period. This is the Yokushitsu (bathing room) which was built in 1628 of the Edo period. In Zen Buddhism, Bathing is also a part of ascetic practices. This is the bell of Darani. Darani is one of the prayer to Buddha. 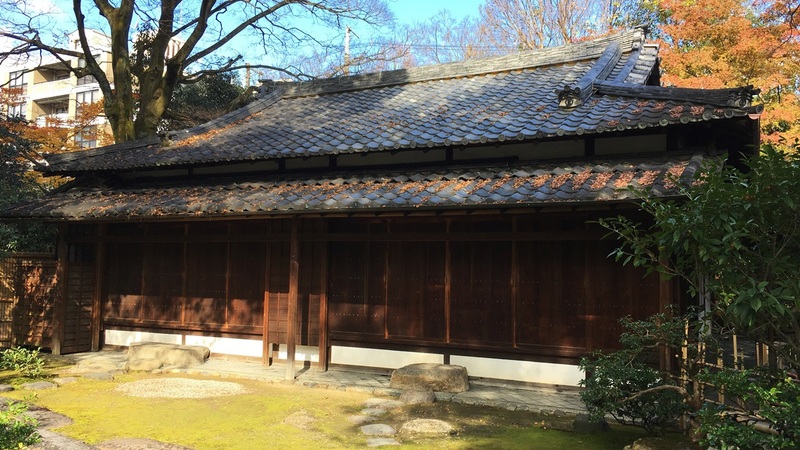 This is the Kaizan-do hall which was built in the Kamakura period. 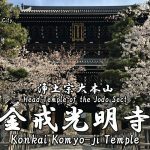 Eisai who is the first chief priest of this temple is enshrined in this building. Eisai is also the person who wrote “Kissa-yojoki” which is the Japan’s first book about Japanese tea. 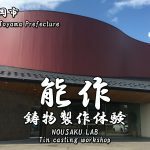 “Kissa-yojoki” consisted of Volume 1 and 2, and in Volume 1 it explained the variety of teas, the manufacturing process of green tea, and the effectiveness of tea drinking that made a body healthy. 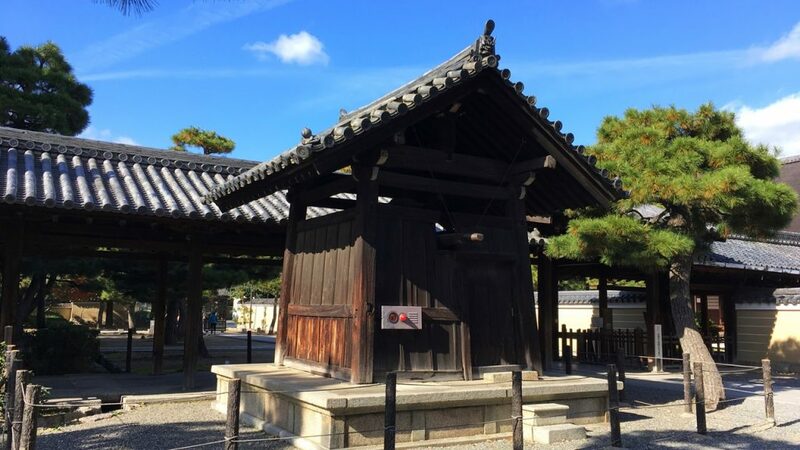 Therefore, the tea monument is put in the precincts of this temple. 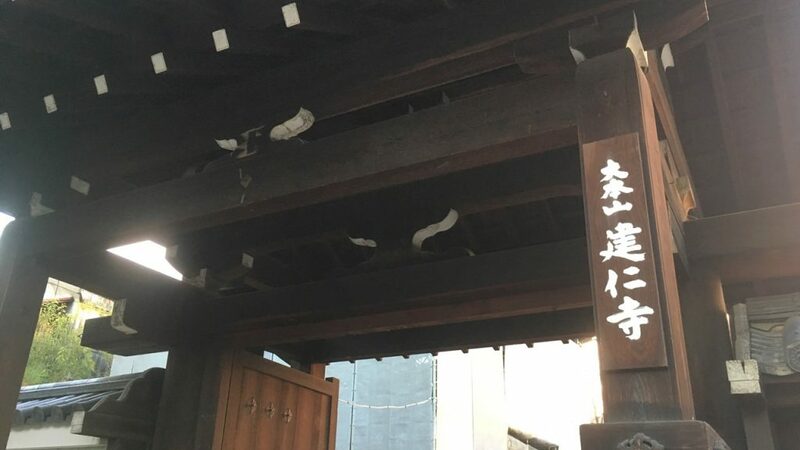 This Temple’s Sumigaki(The words which was written with a sumi(black ink)) is “拈華堂(Nengedo)” which is the another name of Hatto hall of this temple. We go on foot from Keihan Gion-Shijo Sta. to Kennin-ji Temple. It’s about 7 minutes (400m) on foot.